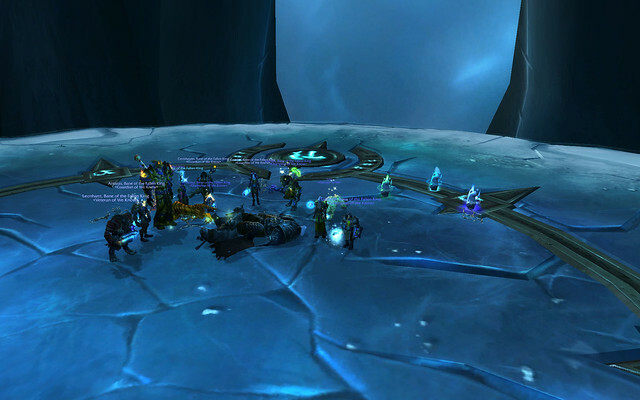 Our Sassy Cats Retro Raid has accomplished our first ever heroic Lich King kill. We are now the Bane of the Fallen King. Let's face it, the picture does look pretty much the same as a regular kill other than our new fancy titles, but I couldn't resist taking a photo of this exciting moment! We also got the guild achievement for Lich King and wrapped up Wrath guild raid achievements, grats all!